2017 was a year of record growth and expansion for Edinburgh based manufacturer, Vert Rotors. The company’s end of year results have revealed that the firm’s turnover has grown by 197 per cent in rapid year on year growth and they have created a new compressor, which is three times more powerful, producing 200% higher pressure than its nearest competitor on the market for the same input of electric power. To keep up with demand, the business has expanded its precision manufacturing facility in Edinburgh to offer the company more space to increase production of its micro compressors. 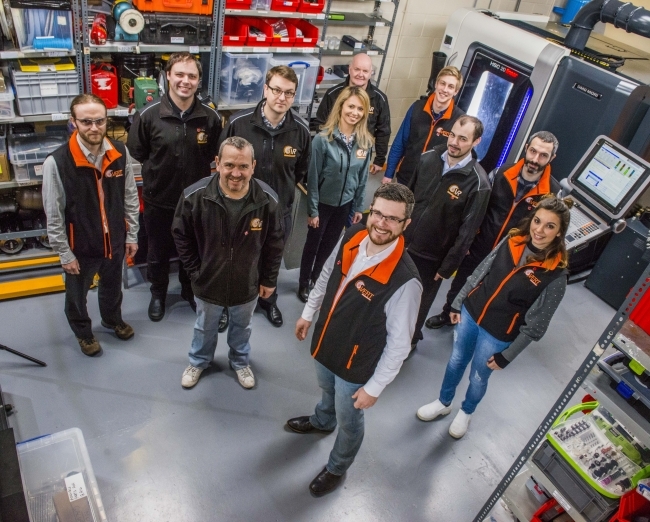 To facilitate this growth, Vert Rotors has hired five new design and manufacturing engineers, bringing highly skilled and high value jobs to Edinburgh. Not only were sales healthy, their research and development has been recognised with four patents granted last year to protect the company’s intellectual property and innovation; two in the US and two in Europe for their software algorithm and design of their conical compressor. Protecting their IP is incredibly important to the company as it means all the revenue generated by their designs is retained in Scotland to boost the economy. Vert’s disruptive micro compressor technology has attracted the attention of several international companies. The company has grown their customer base to include key industry targets such as a leading air compressor manufacturer, an automotive manufacturer, oil and gas drilling manufacturer and a space propulsion technology specialist. Vert Rotors founder and CEO, Olly Dmitriev said: “It really has been an outstanding year for Vert Rotors. It is great to see that our growth has increased year on year by 197% and we want to push forward to keep on track for 2018. The whole team has worked incredibly hard to get us to the position we are in today. In 2017 Olly Dmitriev was also included in The Manufacturers Top 100 and won ‘Inventor of the Year’ at the Made in Scotland awards.